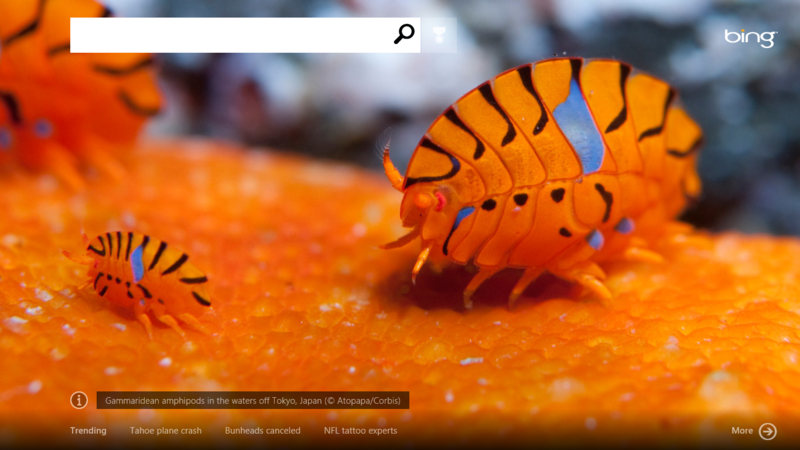 This was yesterday’s Bing background. Amazing. Utterly alien looking. I always wonder how/why stunning color patterns evolved. Some creatures like earthworms and cockroaches, have very little to no visual embellishment. While peacocks, these amphipods and many other life forms have very intricate patterns. This entry was posted in Computers, Lifeforms, Photography and tagged Bing, evolution, Gammaridean amphipods, markings on 2013/07/24 by robert.